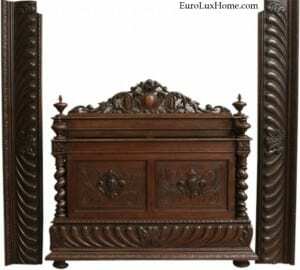 Erin S. found our EuroLuxHome.com website as she was looking for an interesting antique bed for her new home in Colorado. 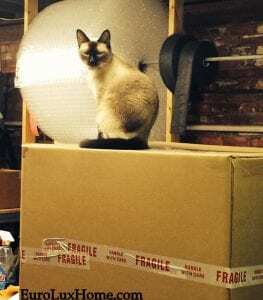 She was moving from Arkansas, so we held the bed for her for a few months until she was ready for us to ship it to her new home. She also wanted us to convert the bed from full size to queen size. 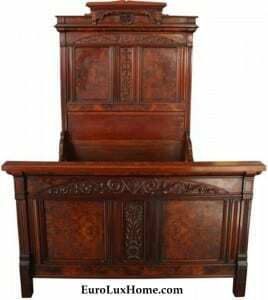 This is the antique French Hunting style bed that Erin chose, lavishly carved in beautifully aged wood and dating to around the year 1900. 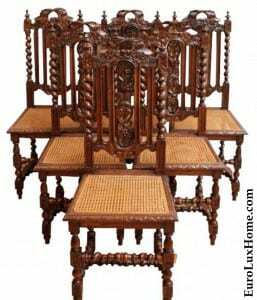 Antique beds are typically always full size and most of the time will accommodate a standard full-size mattress and box spring set. 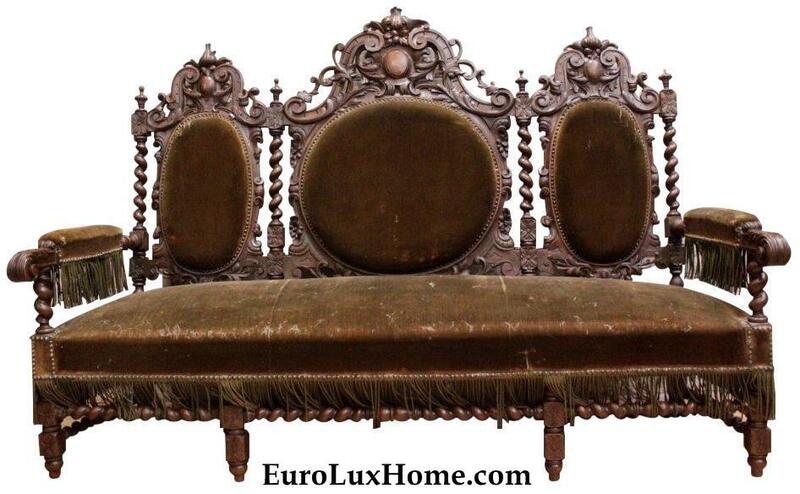 However, they can be converted to a queen size if the headboard is around 60 inches wide. This one was, so we converted the bed from full size to queen size for Erin. 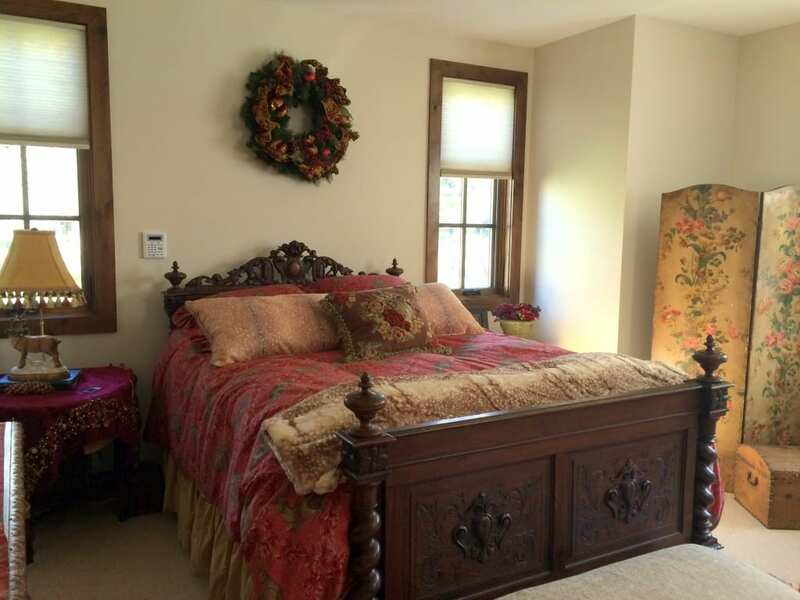 Here is the antique bed in Erin’s home! Isn’t it stunning? 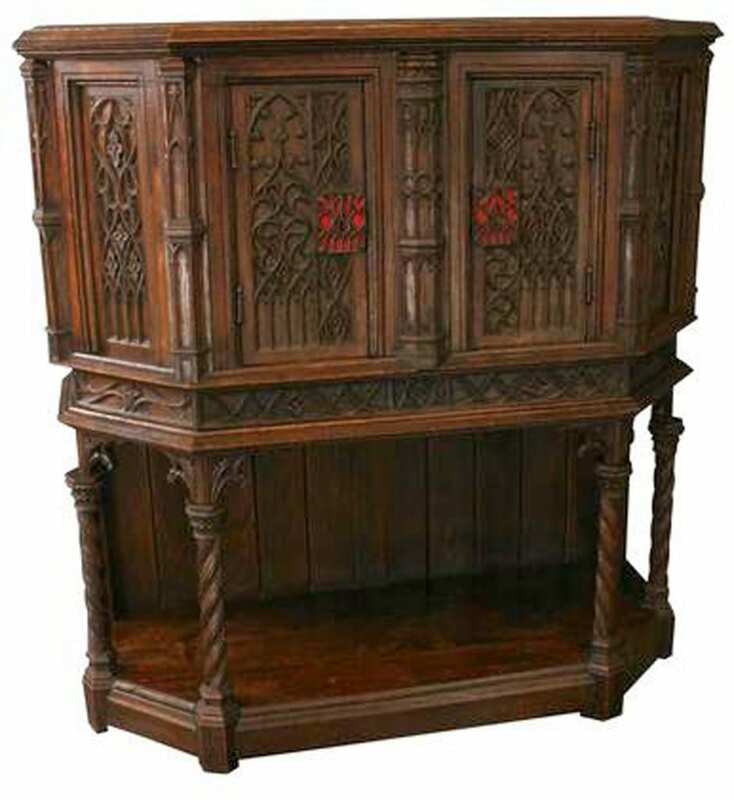 The bed is richly carved including a large medallion on the headboard surrounded by intricate swirls, and French heraldic motifs on the foot board. Chunky barley twist bed posts are crowned with turned finials. 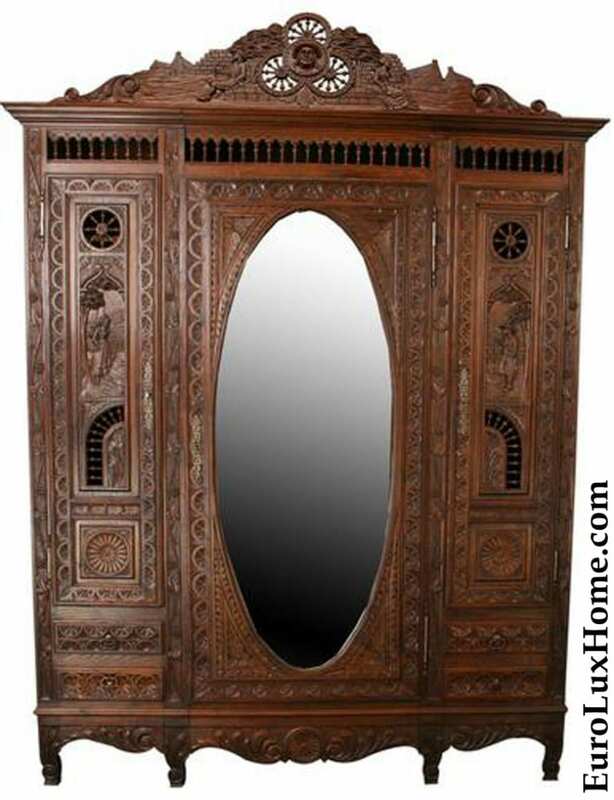 Even the side rails boast a striking and heavily textured carved pattern. 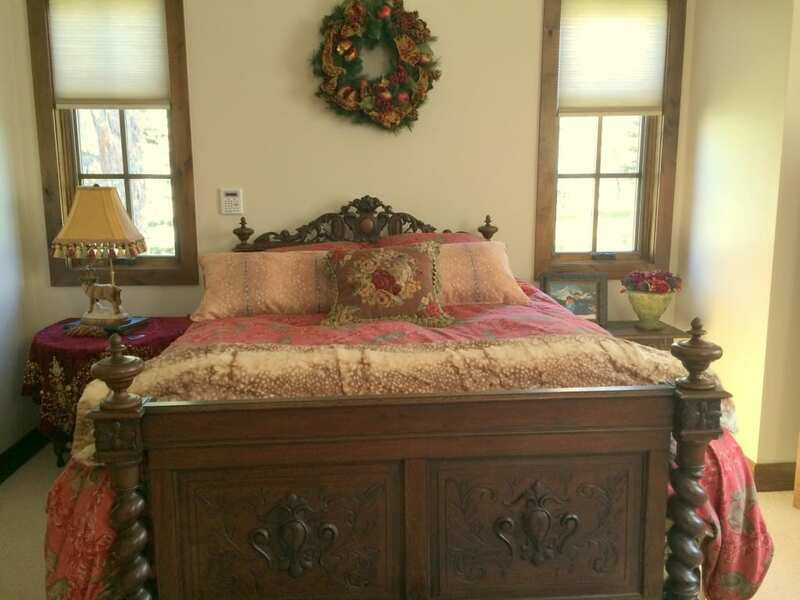 I love the rich color combination of red and gold that Erin has chosen to complement the dark oak of the antique Hunting bed and the heavy carvings are right at home in Colorado! The antique screen with a floral print to the right of the bed and the antique trunk beneath are lovely additions to this warm and cozy room. I think Erin will be as snug as a bug during the upcoming winter! 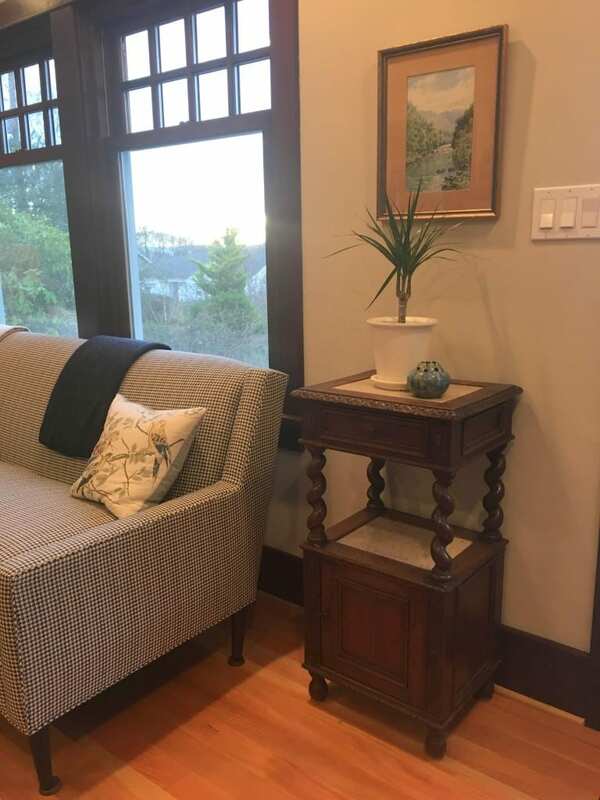 Thanks for sharing photos of your lovely bedroom, Erin. 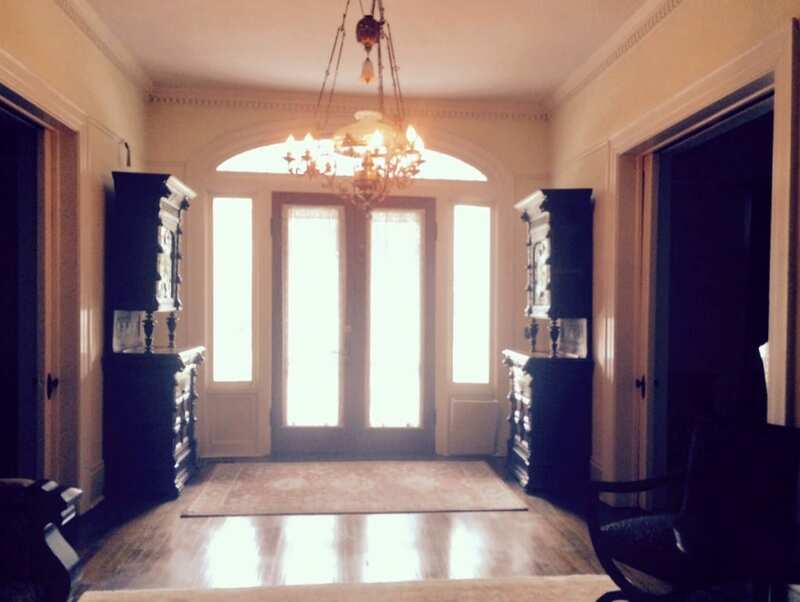 We can tell you have a great design eye and I bet the rest of your new home is shaping up beautifully too. 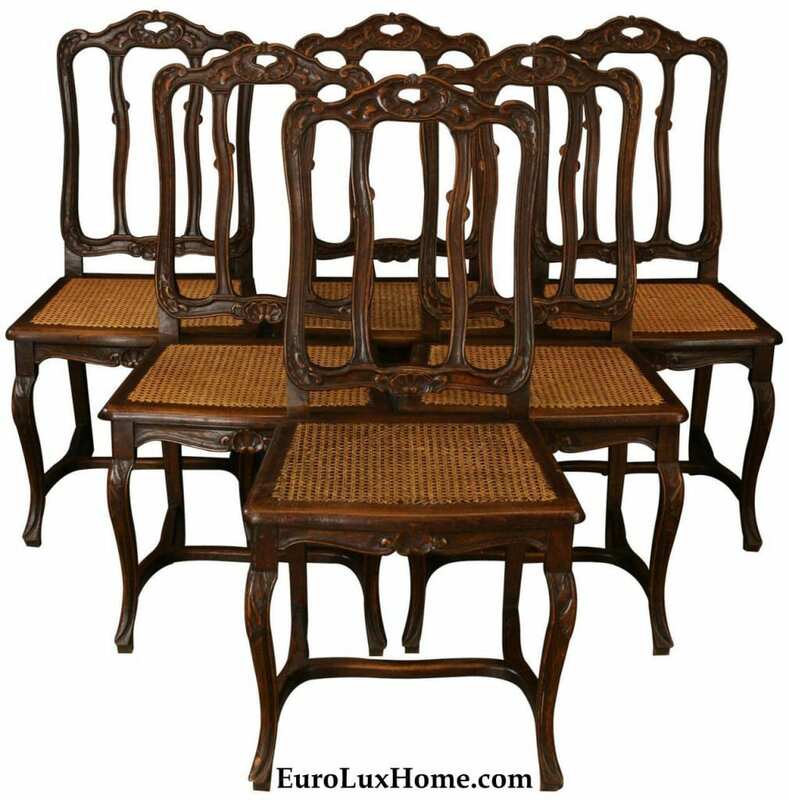 Blog readers who like this antique furnishing style can enjoy some more eye candy by checking out our antique French Hunting style furniture, all direct imports from France. 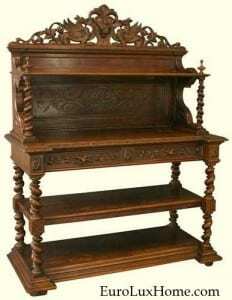 Or create a bedroom as beautiful as Erin’s by browsing all our new and antique beds. 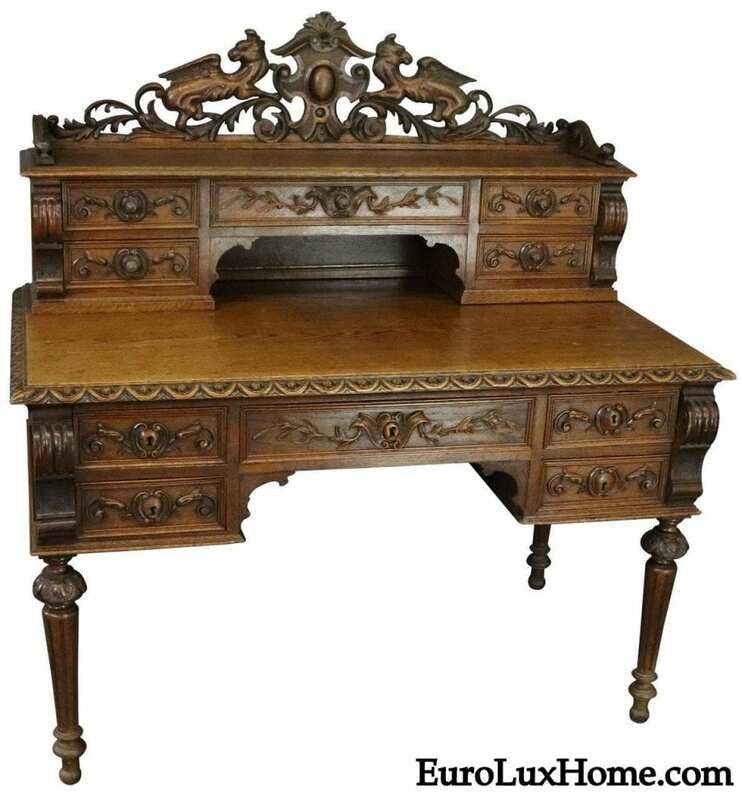 This entry was posted in Antique Furniture, Client Spotlight and tagged antique bed, antique French bed, antique French furniture, antique French Hunting bed, Antique Furniture, bedroom furniture, buying French antiques online, Hunting Style, living with antiques on October 24, 2016 by admin. 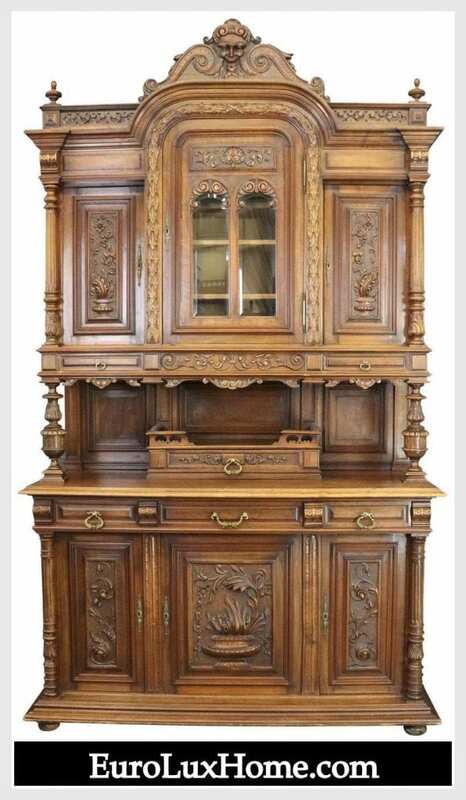 We were pretty thrilled when Stan V. in Pella, IA, bought some antique furniture from us to furnish a historical house. 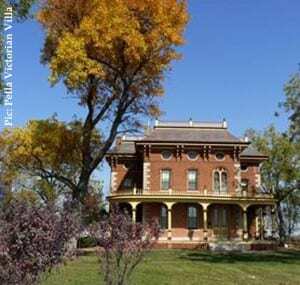 The Pella Victorian Villa was built in 1871 and as an Iowa historic site it is listed in the National Register of Historic Places. Right now this grand villa is being renovated so it is not open for tours, but thanks to the internet (which never needs renovations!) 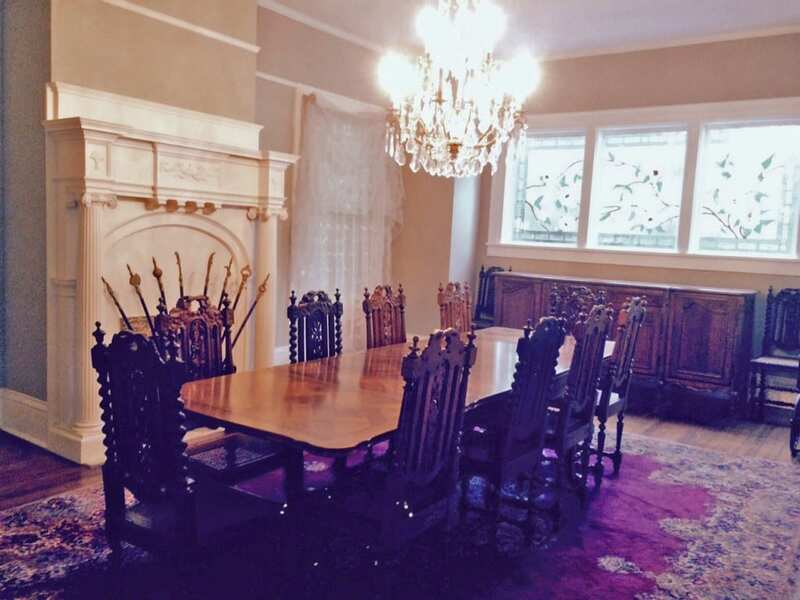 you can still see photos of the rooms in the Pella Victorian Villa online virtual tour. 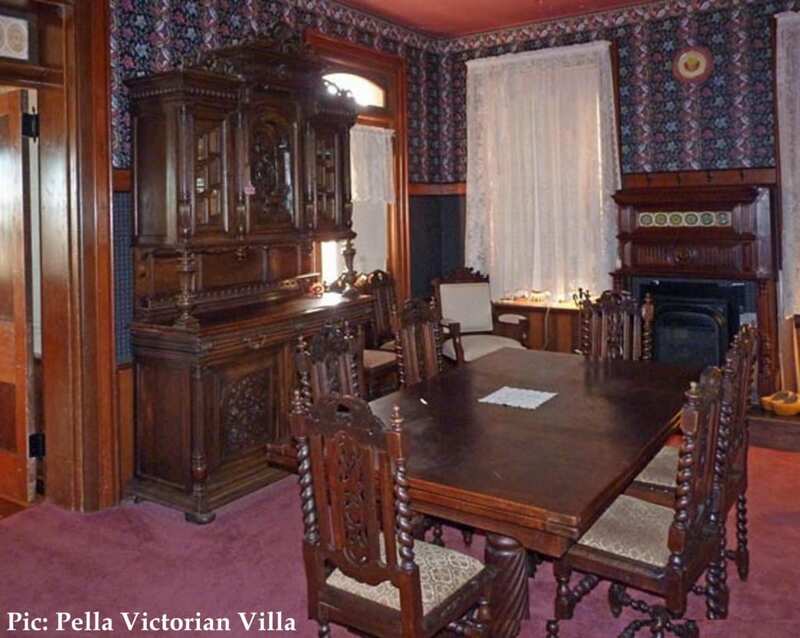 This is a photo of the dining room in the Pella Victorian Villa. 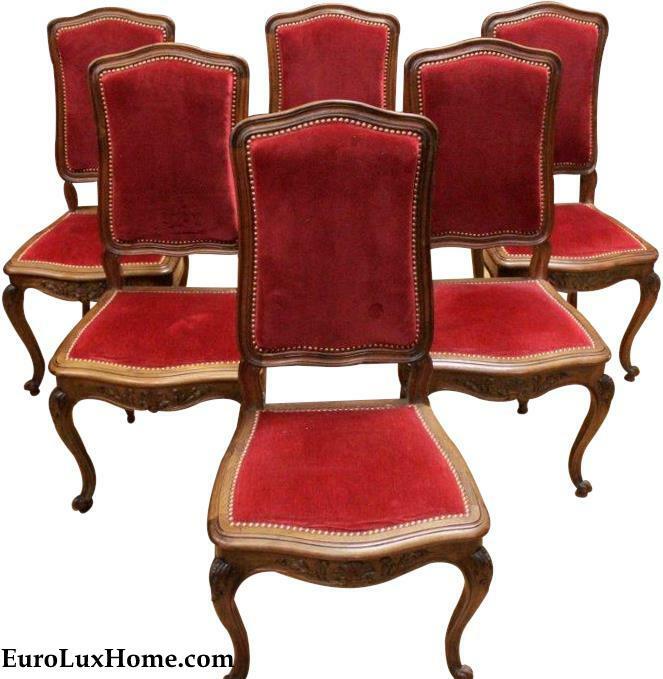 You can see the handsome antique French Hunting chairs and a large antique table that came from us at EuroLuxHome.com. 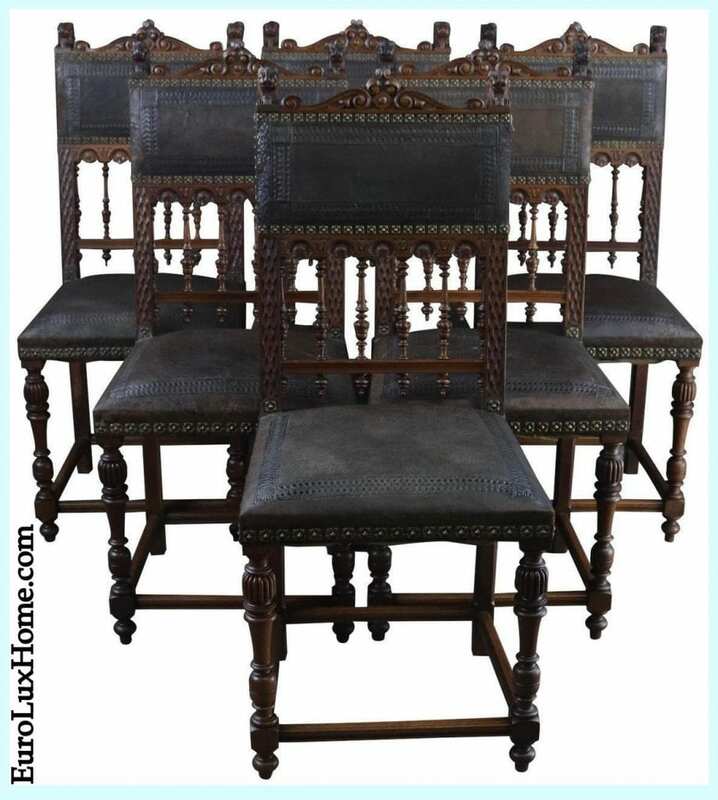 Later we shipped another set of chairs and another table to the villa so we look forward to seeing how those are featured in the old house. 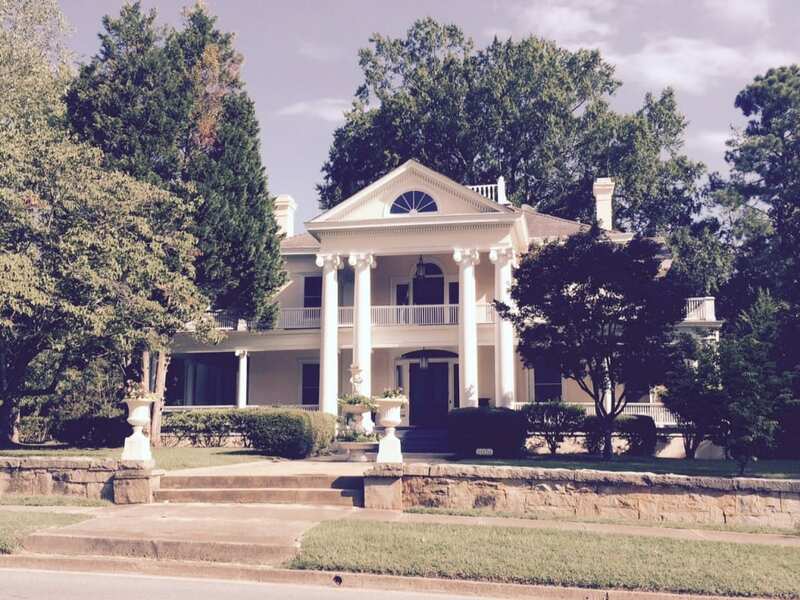 The house was built by John Voorhees for his family, and there is an interesting story about the bricks. They were all made in a kiln on the property with clay from local clay pits and because the mortar was the same color as the bricks the builders painted white lines on the mortar between each brick. What a painstaking task that must have been! But they did a good job of it because the bricks and the mortar are still in great condition. 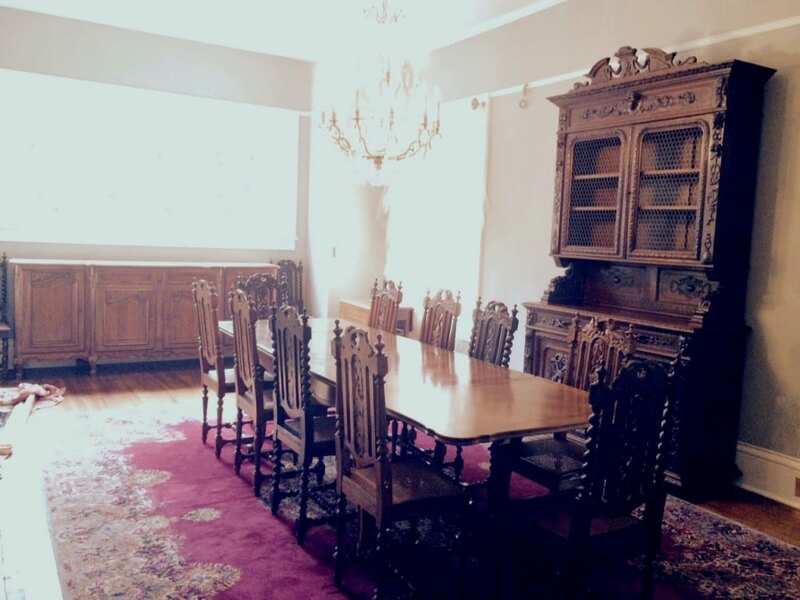 Stan and Alma purchased the house in 2011 with the aim of preserving it and they decorated it with period pieces like the antique furniture that they bought from us. 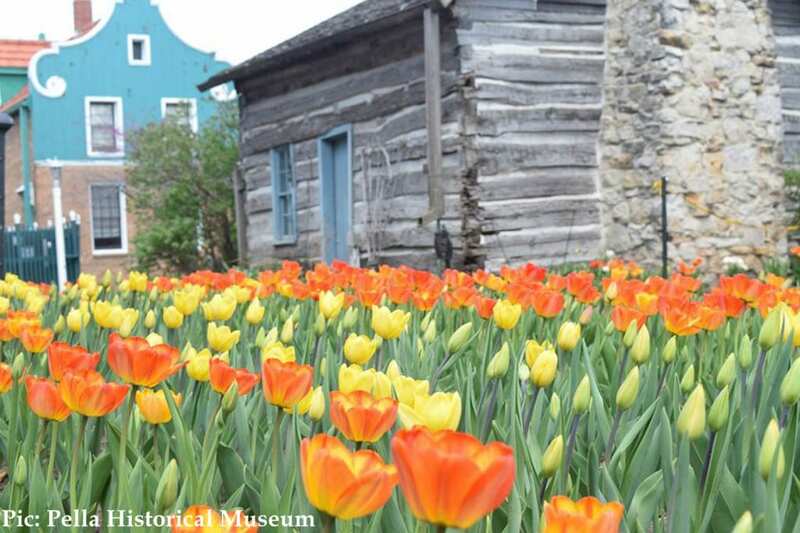 The Pella Historical Village looks like a beautiful place to go visit, especially if you want to explore the village’s Dutch Heritage. 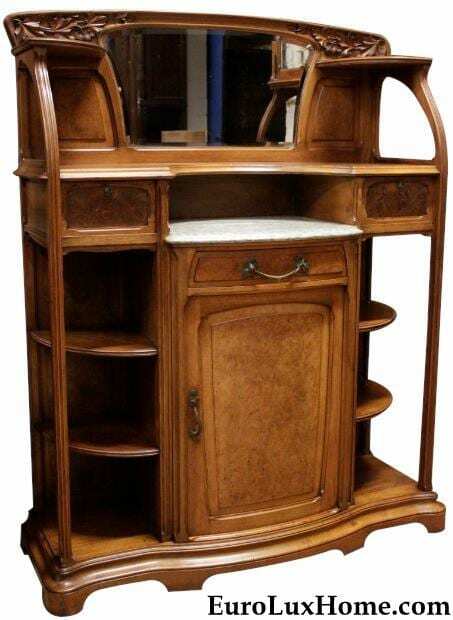 Attractions include the Scholte House Museum, built in 1848 and filled with antiques, and the Vermeer Windmill – an authentic working Dutch mill. The annual Tulip Time tulip festival also looks like a lot of fun! 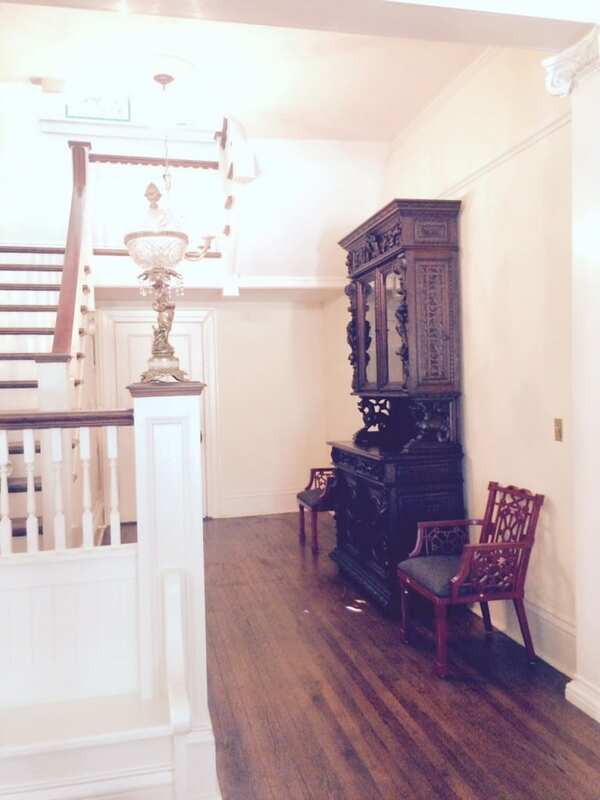 We’ll revisit the Pella Victorian Villa when the renovations are complete so we can see how our antique furniture looks in the ‘new’ old house! 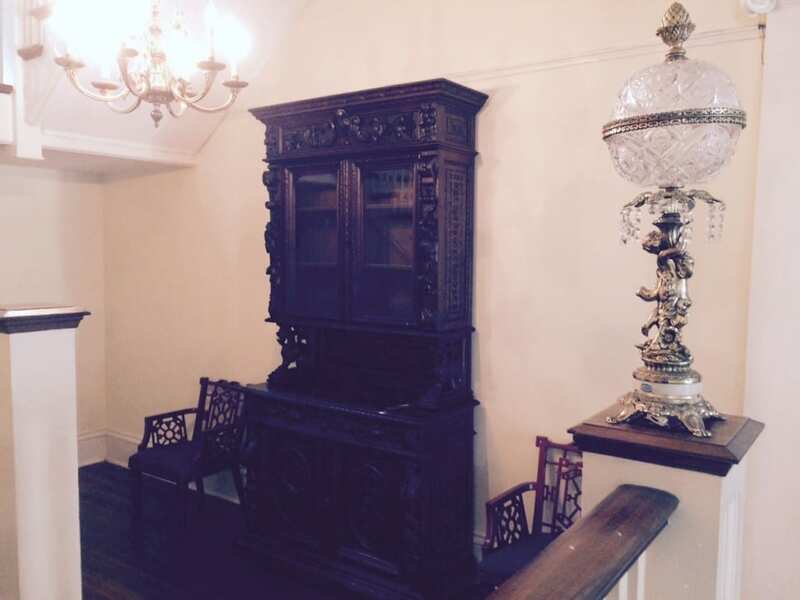 Meanwhile, you can see our antique furniture in another historic house in our spotlight on the Johnny Cash Boyhood home. 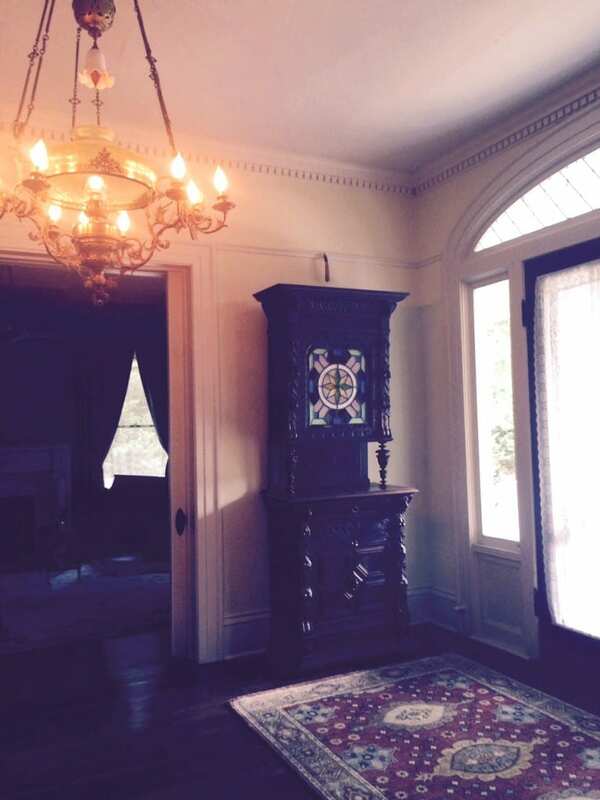 This entry was posted in Client Spotlight and tagged antique French furniture, antique French Hunting Chair, Antique Furniture, dining room, Historic House, Hunting Style, Victorian Homes, Victorian Restoration on January 29, 2016 by admin. 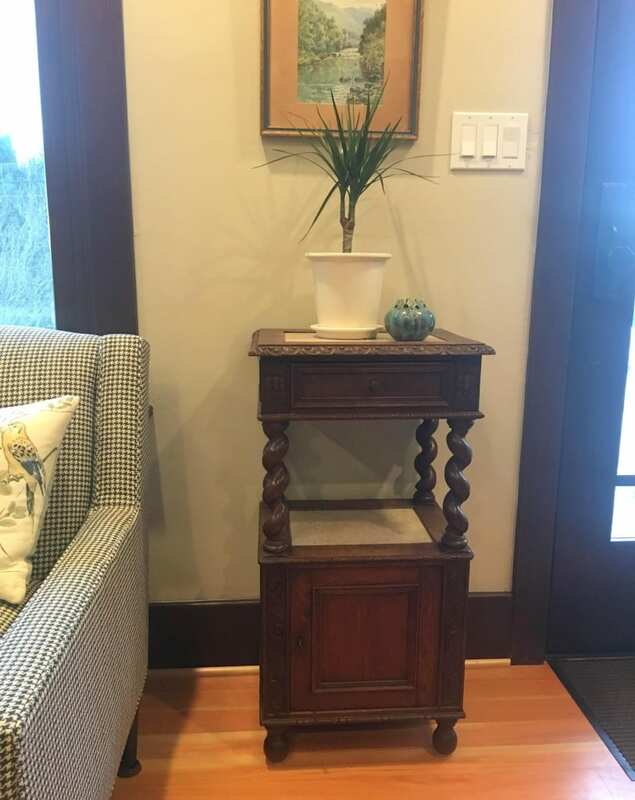 I’ve noticed that birds are popping up a lot in the home decor trends for 2015. 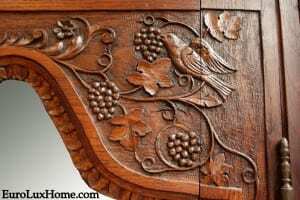 We like the look so I’ve done some bird-spotting to share bird decor images and inspiration with you. Our six cats like the bird decor trend too but hmm… I think maybe for a different reason! 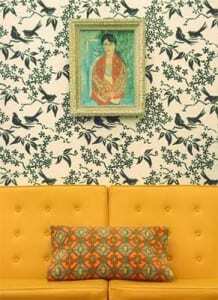 Decorilla’s review of best design trends at Maison & Objet’s 2015 show in Paris said: “Birds are everywhere – textile patterns, porcelain, crystal, plastic, paper…” A little bird told me that bird themes also rocked the 2015 Las Vegas Market. 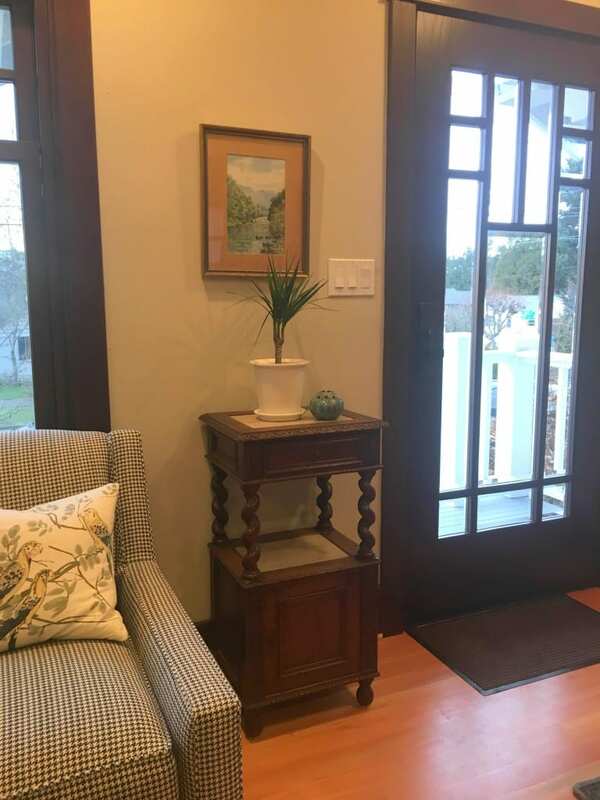 Of course, birds aren’t new in home decor. 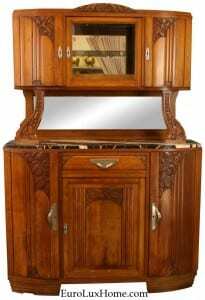 We often see carved birds on our antique furniture, like this detail on an 1890 antique French armoire in the Normandy style. Similarly, this vintage Bequet vase (in our gallery now) is hand-painted with the bluebird of happiness. For thousands of years the bluebird of happiness has been a symbol of prosperity, cheerfulness, good health, and renewal of springtime. 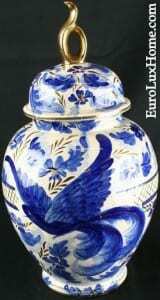 The extravagant blue, white, and gold hand-painted vase, dating to the 1950s and signed by the famous Belgian ceramics manufacturer Bequet, reminds us that a beautiful bird will always look classic. But everything that’s old is new again, right? 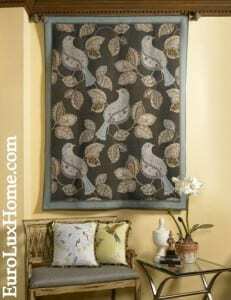 Now birds are flying into home decor in every way you can imagine and in every style. This Galbraith & Paul bird wallpaper shows just how enchanting the effect can be. 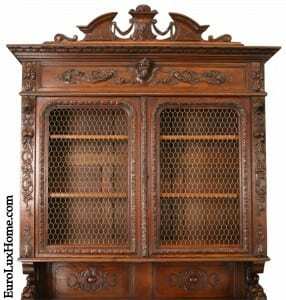 I love this for an accent wall or perhaps in a hallway so you walk through an aviary of birds as you move through the house. The wallpaper might be a bit too busy for a large room, though. 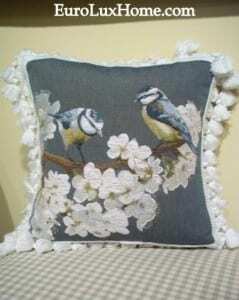 A throw pillow is another soft furnishing that just invites a bird motif if you are feeling nesty! This bird throw pillow (created with a French textile, but finished in the United States) comes in several colors and it would charm the birds out of the trees in any style of decor. Designer Rachel McCann said that while birds of all types would be important in accessories in 2015, the peacock would be one of the strongest motifs. 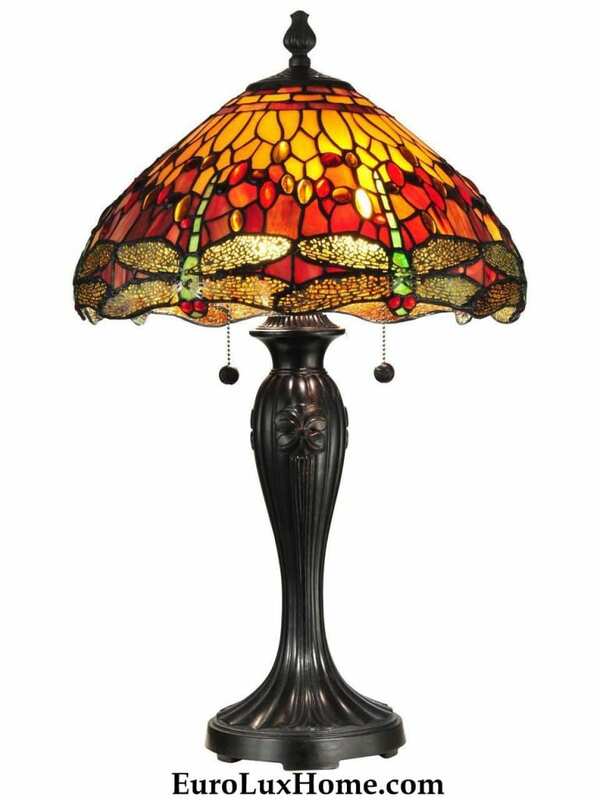 Peacocks are so classic and elegant, as in this sculptural peacock Dale Tiffany table lamp with a peacock cast bronze base. 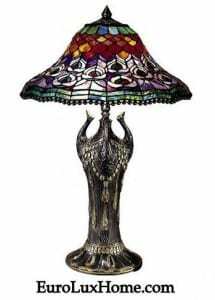 The hand-rolled art glass shade with a peacock feather design adds to the theme. 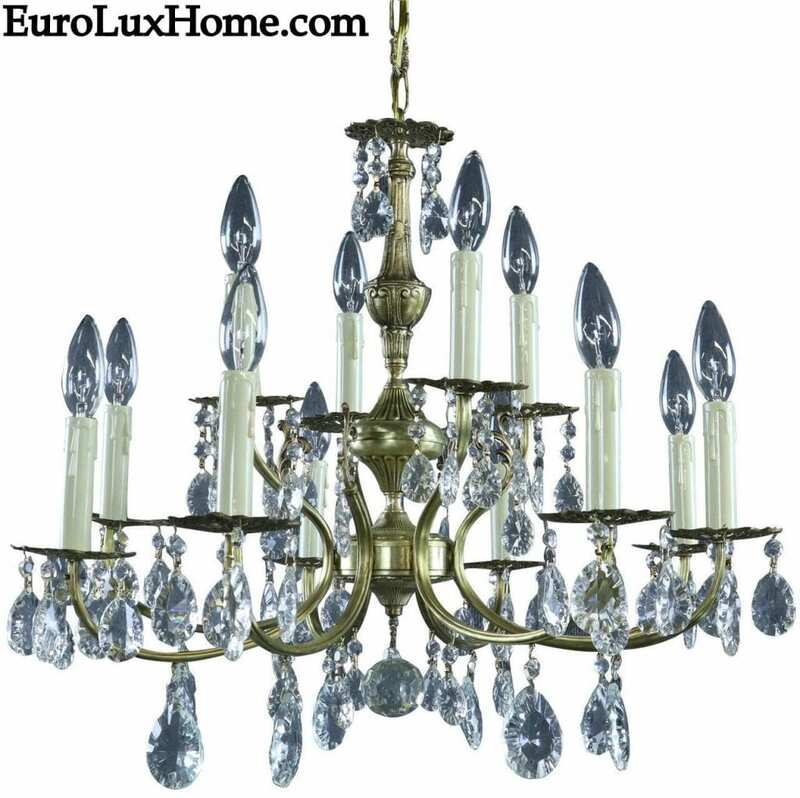 We just started carrying some beautiful chandeliers and sconces based on antique Black Forest designs. I’m not surprised that I found one flaunting pheasants! 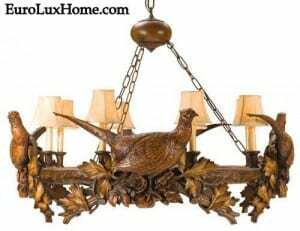 Made in the USA, they are cast in resin with gorgeous details as you can see in the foliage and feathers of these handsome pheasants. 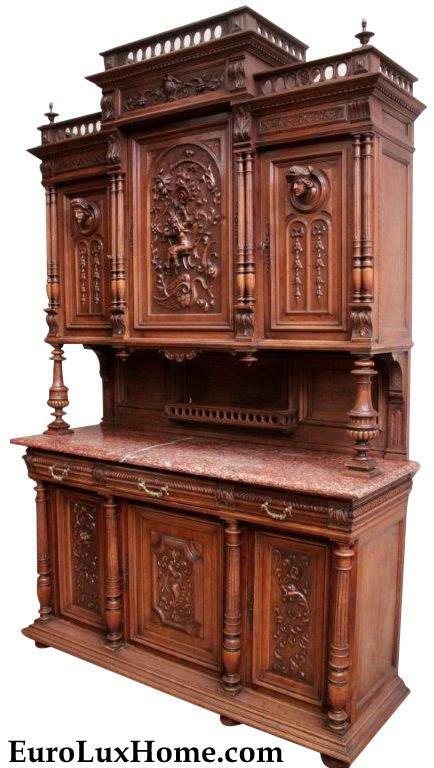 The chandeliers look like carved wood and they have a nice weight to them – perfect for your Hunting Style decor! The same company also casts bookends with very realistic decorative designs. 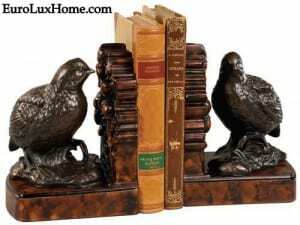 This pair of quail bookends shows just one of the many types of wild animals, birds, dogs, and horses. Finally, I just have to show you this beautiful new hand-painted Bird of Paradise vase or urn. 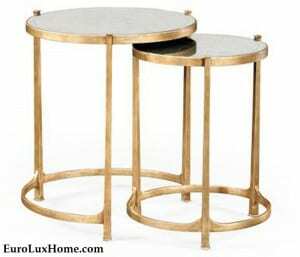 It’s from the Chelsea House collection that we are also now stocking, which is part of Jonathan Charles Fine Furniture. 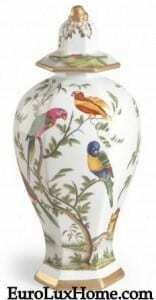 The lidded porcelain vase stands 19″ high and the hand-painted birds make a stunningly colorful impact. I’d never suggest that anyone should flock to buy bird decor just because it’s a trend. But to me it’s not a trend that will ever fly out of fashion. 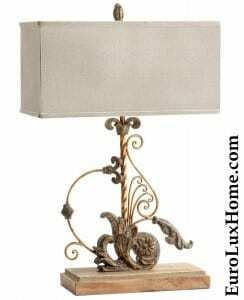 Bird designs are timeless, chic, and always alluring. What do you think? Does bird decor sing for you? 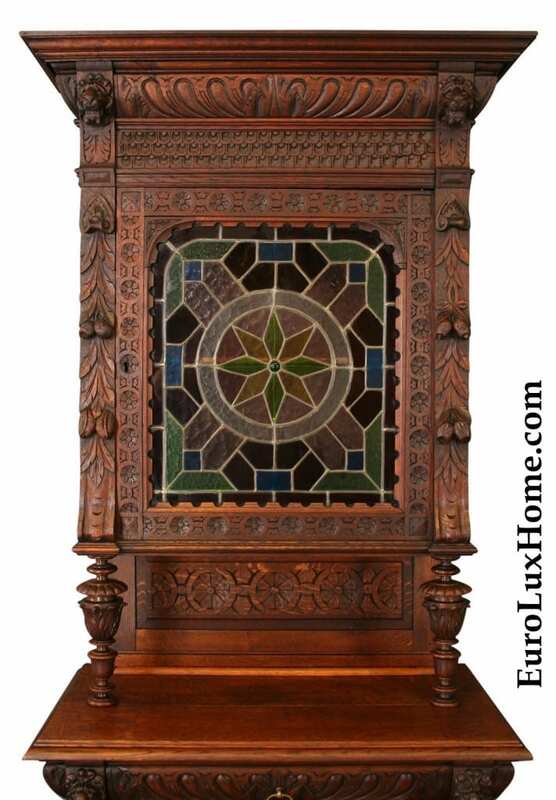 This entry was posted in Home Design Ideas and tagged 2015 design trends, bequet, bird decor, Chelsea House, Dale Tiffany, design ideas, high quality reproduction furniture, Hunting Style, interior decor, interior design, Tapestry, throw pillows, Tiffany lamp on February 18, 2015 by admin.